I found the hidden stash of “nip” & now it’s all over the floor. I am not ashamed & stoned out of my mind. Posted January 27th, 2016 . Look at those eyes, definitely high. Yeah. Great. Pot and animals. Can’t believe anyone thinks this is funny or cute, and really can’t believe such an inappropriate post was put up by this site. What? Aren’t we talking about catnip? 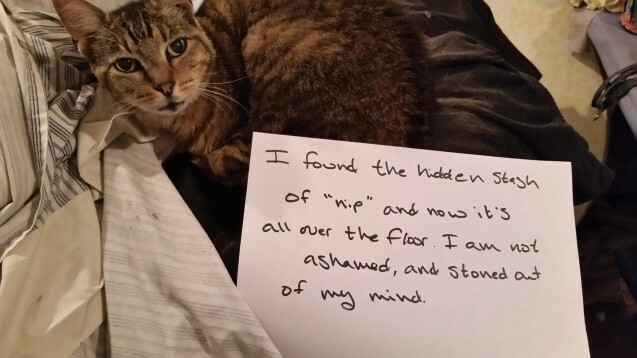 Yes – catnip, not pot. 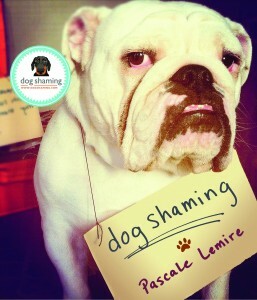 By the way, I like seeing a cat/other naughty animal on Dogshaming like this now and then for variety.